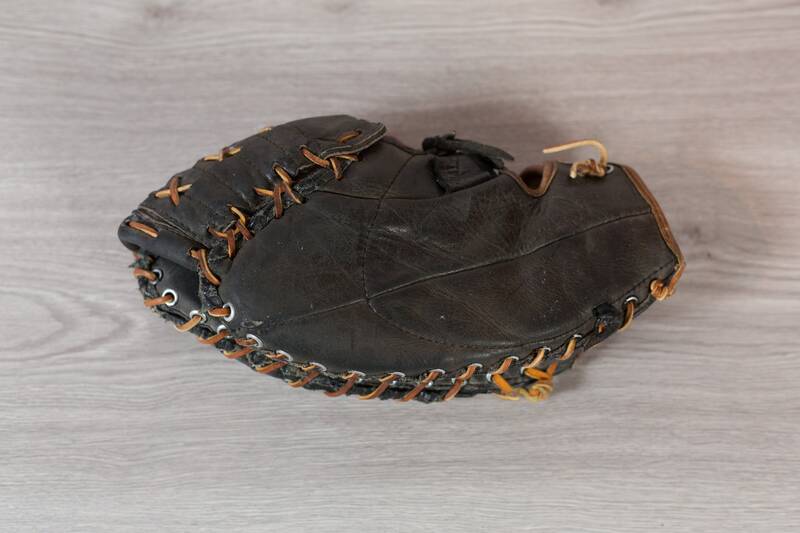 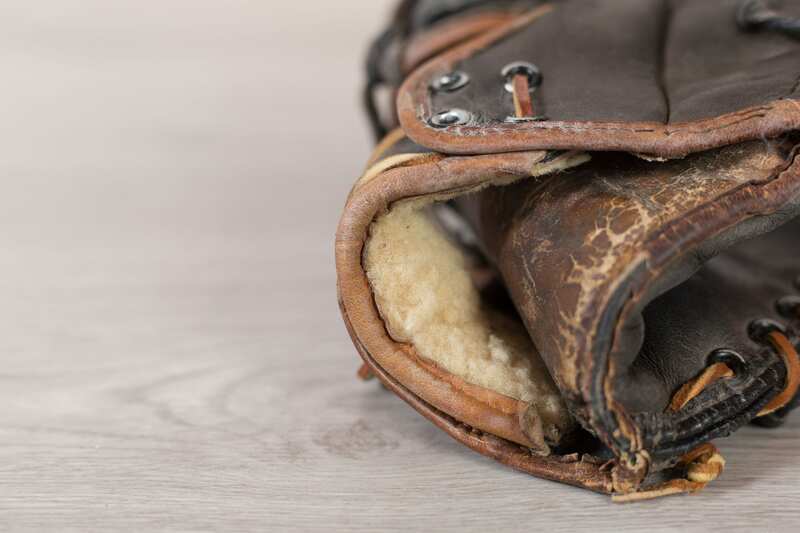 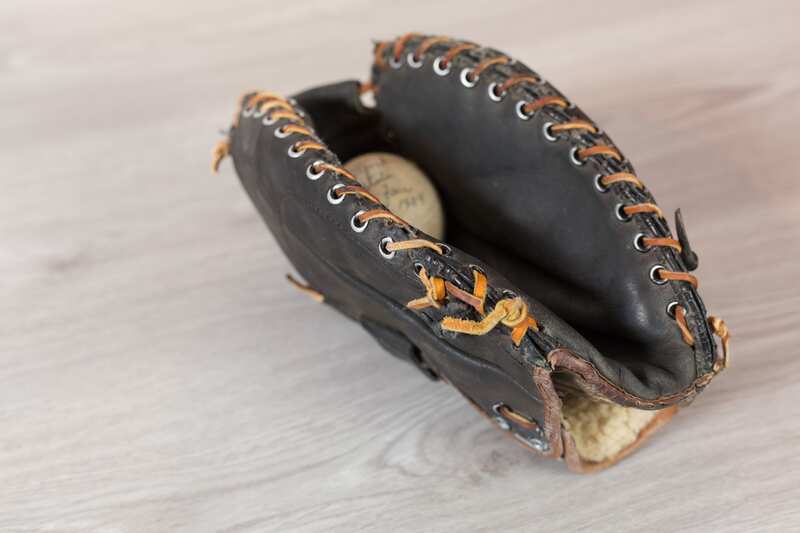 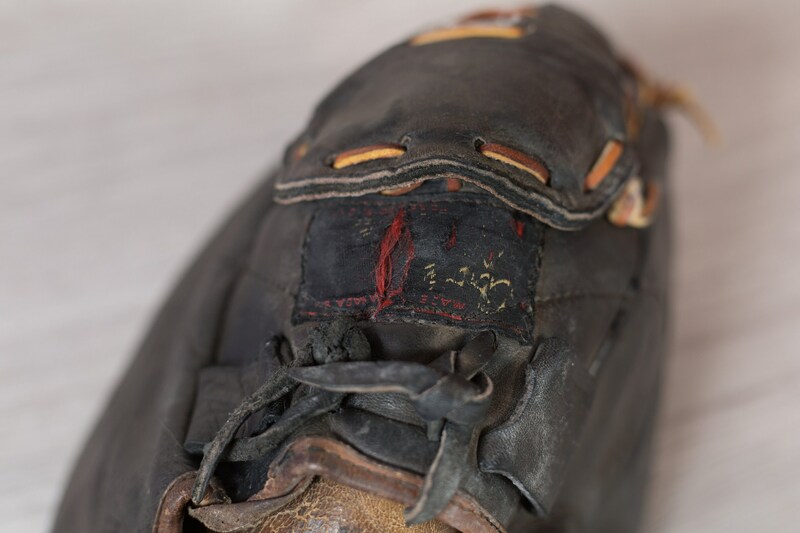 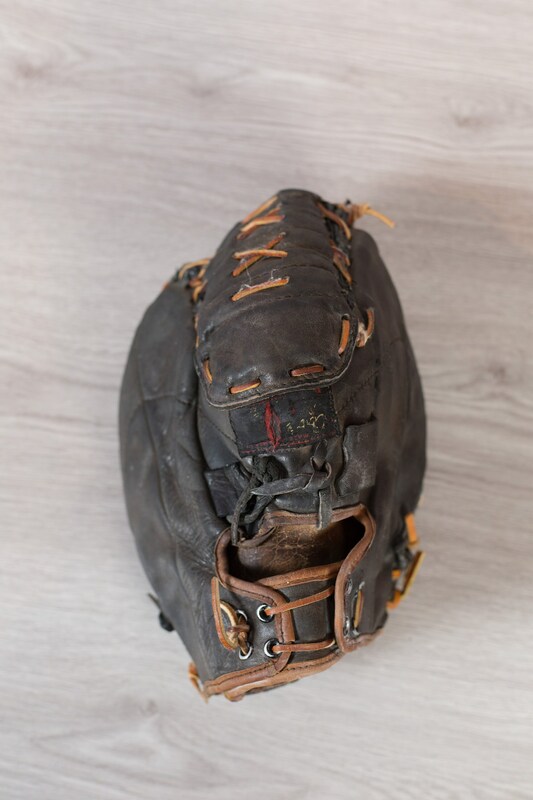 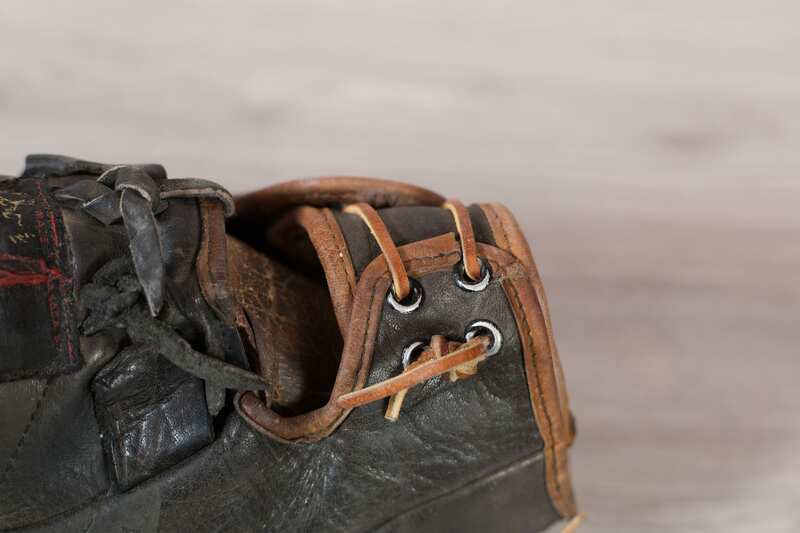 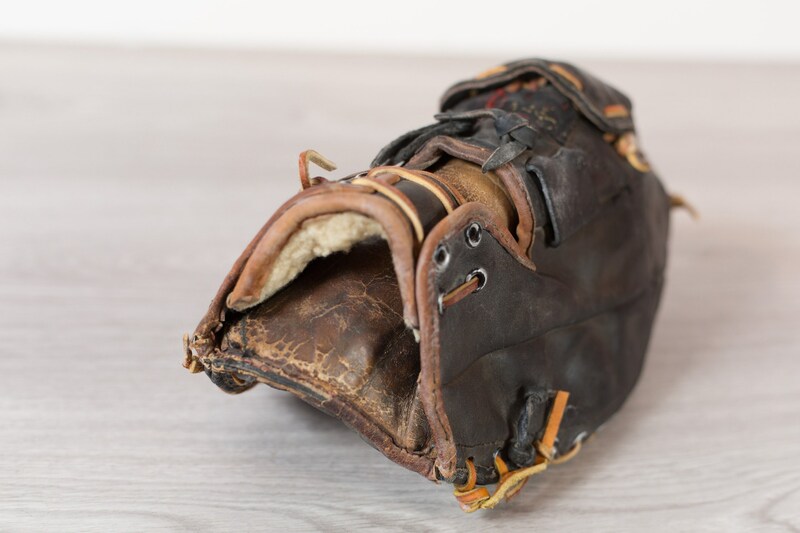 This is an excellent looking vintage black leather baseball glove. 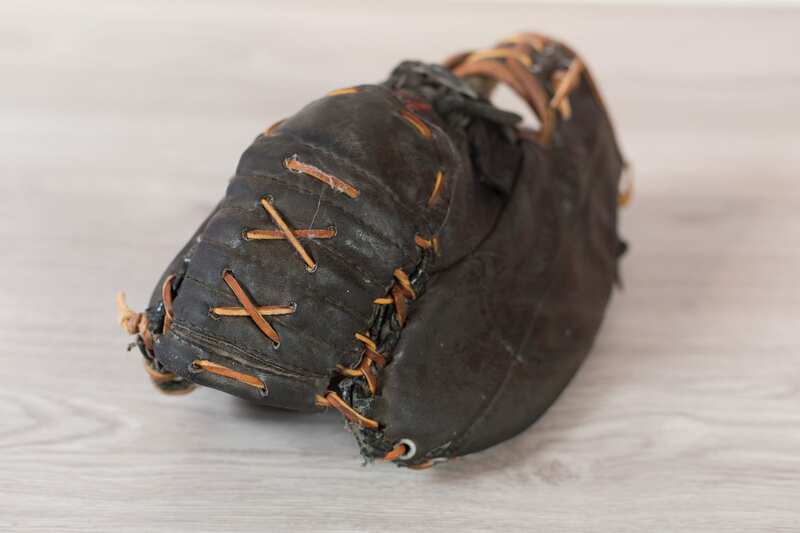 It is distressed form age and would look great in an athletic themed room. 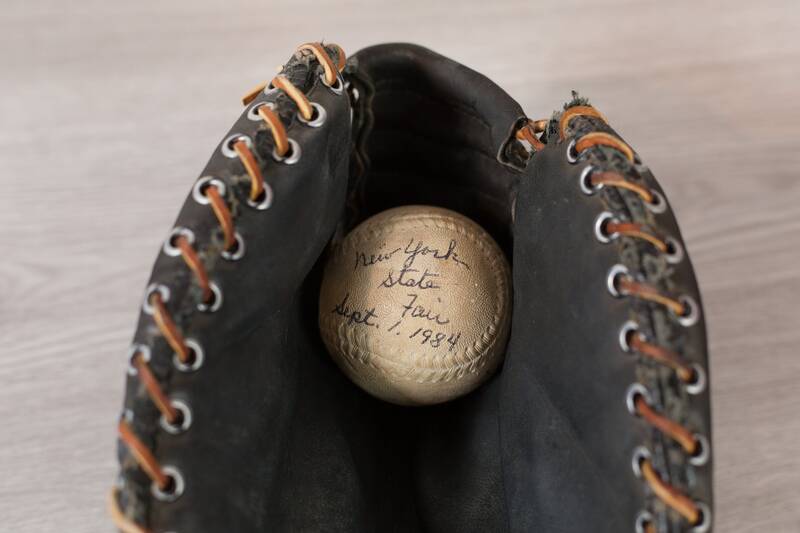 Comes with ball from the 1984 New York State Fair.